The Doctor was busy with a girls weekend full of fun and fitness- Check it out!!! As Drake once said, “Started from the bottom now we here”. “Here” being Delaware Rock Gym (derockgym.com). I was LUCKY enough to have a girls weekend. (Why don’t we do this more?!). So what do girls do when they get together? Workout! 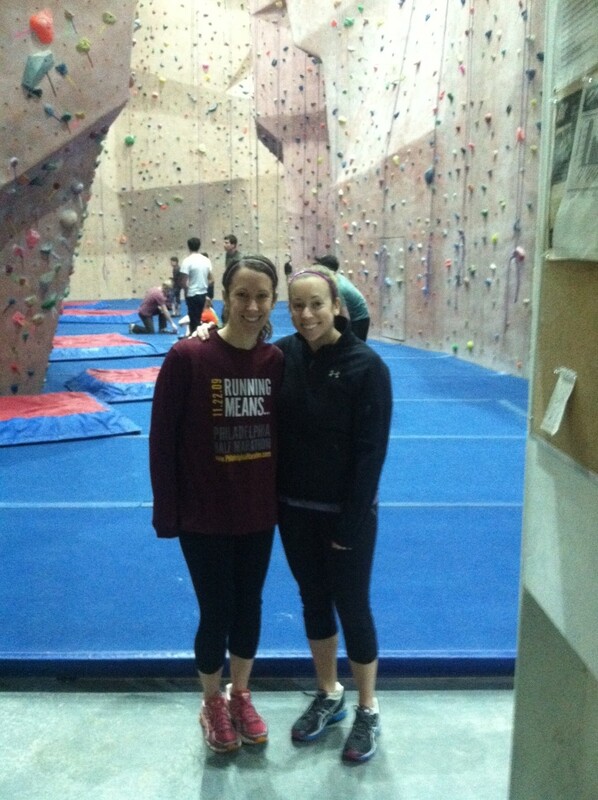 After a 5k that morning, we journeyed to Delaware Rock Gym. I had only been once before a few years back; Teen was completely new to this. We were both very excited to challenge ourselves with a new activity. While we love running and going to the gym- who doesn’t love to change things up?! We anxiously stepped into our harness. I suddenly developed a fear of heights- I was nervous. Would the belayer be strong enough to hold up my weight in the inevitable event I slipped? I asked him- has anyone ever fallen and hurt themselves? He assured me no. Would I be the first person?! Can I even do this? Do I have the upper body strength? Yikes. What have I gotten myself into. “In a typical climbing situation, one end of the rope is fixed to the harness of the climber, using either a figure of eight loop, bowline, or double bowline knot. The rope then passes through climbing protection, which is fixed into the rock. Attachment to the rocks may be via bolts that are permanently fixed into the rock, or by traditional protection that the climber places and later removes without altering the rock. Thank you Wikipedia. You explained that way better than me. My description of a belayer would be- the person that stands in the way of me inevitably crashing to the ground, breaking my right arm, then I have to learn to do everything with my left hand- which would surely lead to me somehow killing myself or someone around me….accidentally of course. So here we were- ready to climb. We started out with a training climb (aka baby climb). I faced my nervousness and just dove right in. Before I realized it I was at the top. Yay me! Then it was Teen’s turn. 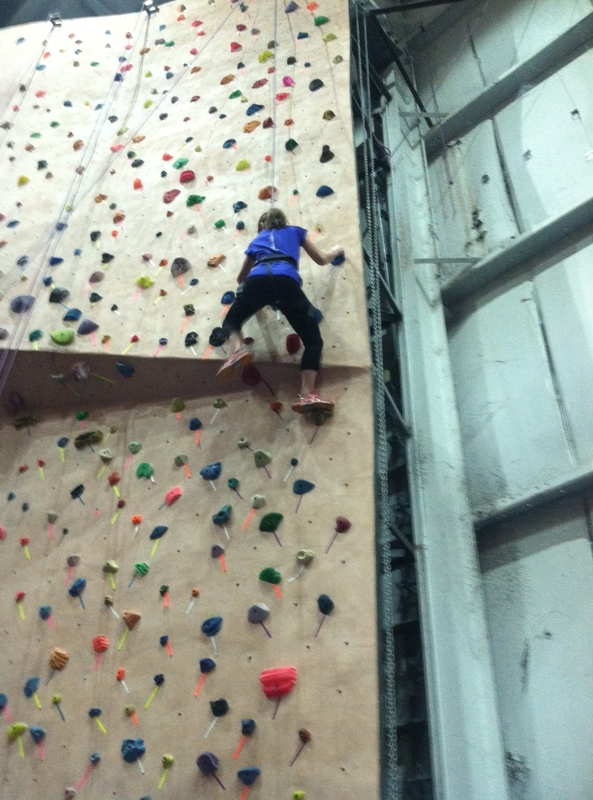 Not only is she a fast runner- but that girl can climb like a ninja. 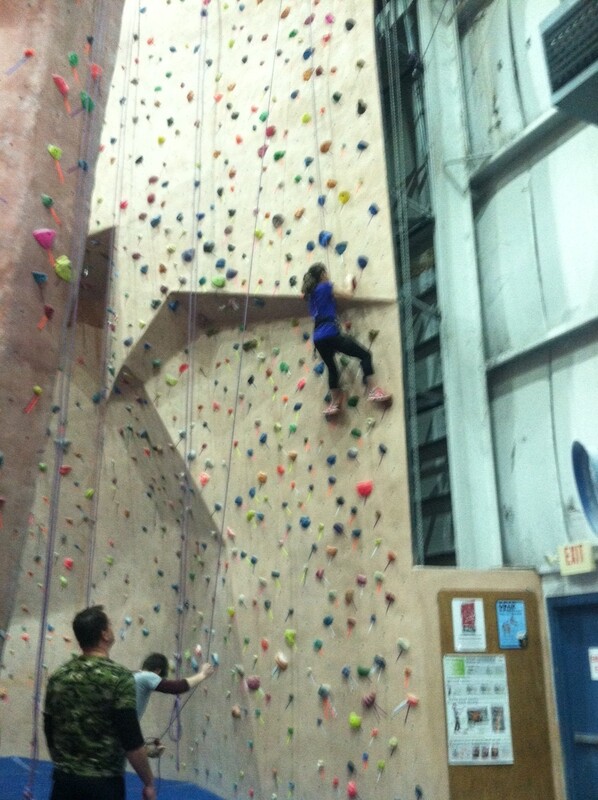 The beginner climb was NBD for that girl. (Read- no big deal). Next climb- this one was taller, much taller. Just keep climbing, just keep climbing, just keep climbing. I made it. My forearms are killing me! 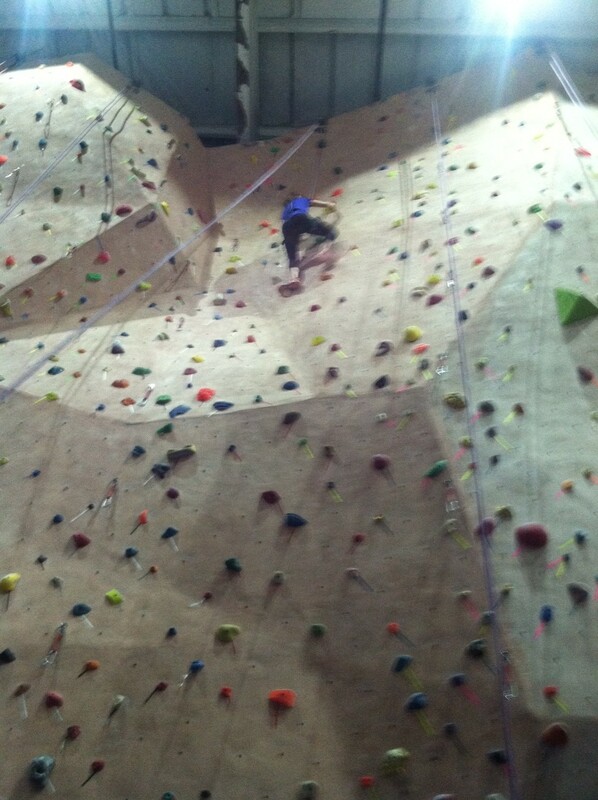 Teen tackles this climb like this is just a regular Saturday activity. I was impressed. Third climb- the beast climb. Ish just got real on this climb. So I didn’t quite make it to the top. 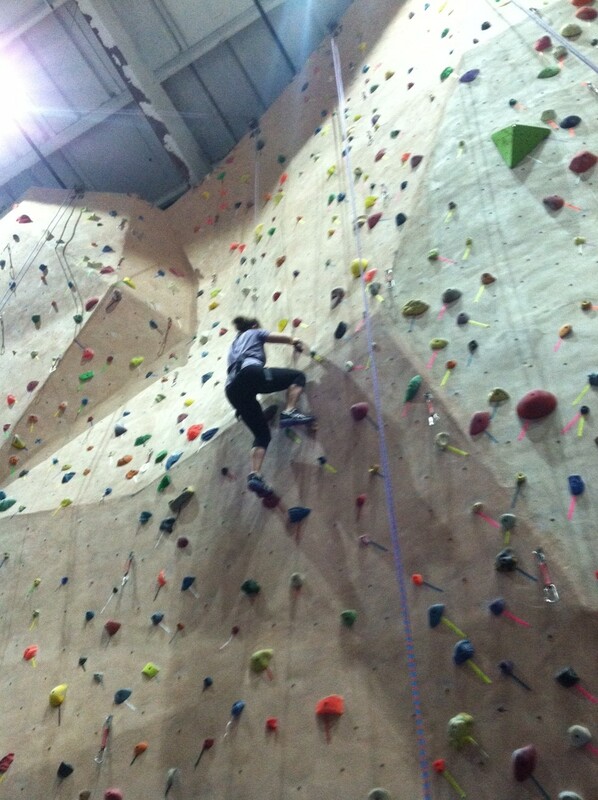 Since I am 5’2″ with little to no forearm strength I was tired after the first climb. But I put forth my best effort- and I am happy with my performance. Teen just went beast mode and dominated that climb. I am officially adding climbing ninja to her skill set. We ended with a medium level climb- I made it to the top! We did 4 climbs. We were there for about an hour, and we had a great time. This is definitely an activity that people should try. There was a variety of people there- all fitness levels and ages. Don’t let your fear paralyze yourself from getting out there and trying something new. 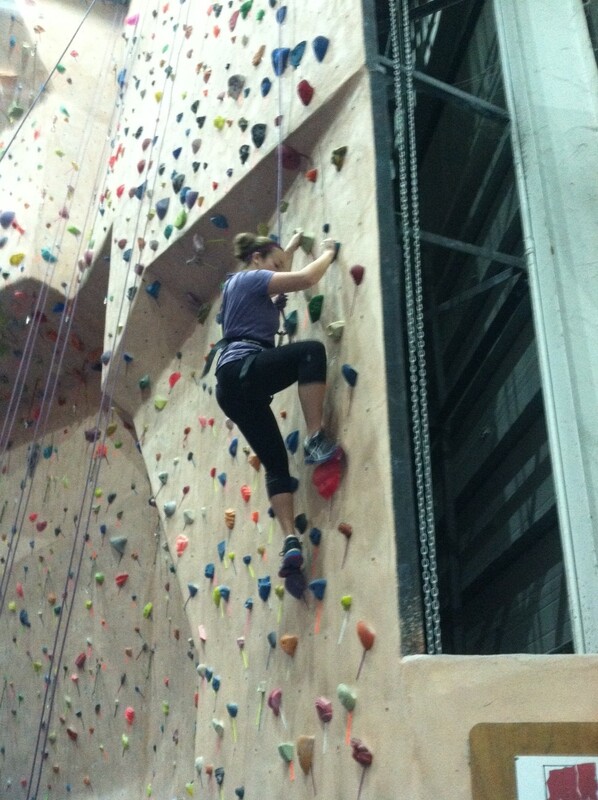 Rock climbing was awesome- I will definitely be going back. What have you done lately to challenge yourself? Do you have any challenges for me? I am always up for a good challenge! Until next time- challenge on. Previous Post The Doctor’s MNBChallenge Week 3 Recap!